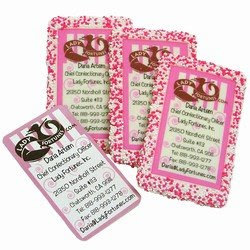 It's true that business cards are for contact information, but businesses have come up with an innovative idea; imaginative and deliciously edible business cards are the need of the day. These contain all the basics like the personal and the business information. Here are some truly memorable business cards that help brighten up the usual process of exchanging the normal business cards. 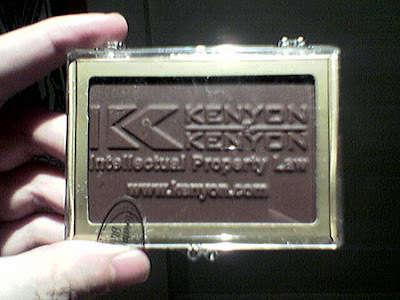 A business card made of chocolate of Intellectual Property Law Firm. 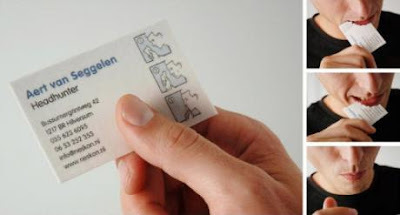 100% discreet business cards for Aert van Seggelen. 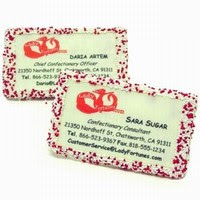 Completely edible business cards with 'read it then eat it' instruction. 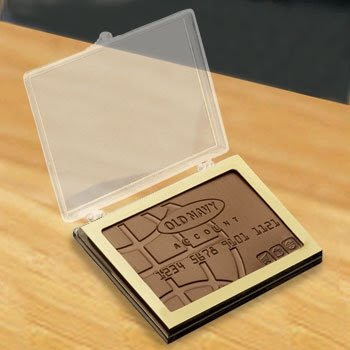 A business card with real chocolate, it makes its own . "Taberu Me", an edible business cards printed on peanuts, walnuts, cashew nuts, red bean, black bean, grains of rice, and even pasta. A set of 150 Taberu Me cards costs 5,800 yen (around $50). These are wrapped in luscious Belgian White Chocolate and decorated with custom-blended candy sprinkles in your choice of colors, this sweet idea is sure to get you noticed! Ad Of The Very First Apple Computer: Apple I.